Professor Shelley Dole is the Head of School of Education at the University of the Sunshine Coast. Shelley is an educator and mathematics education researcher. Over the 25 years she has been in education, she has taught in primary, secondary and tertiary teaching institutions throughout Australia. Shelley has led two major Australian Research Council projects focusing on numeracy across the curriculum and the development of proportional reasoning, with teachers and schools in Queensland and South Australia. 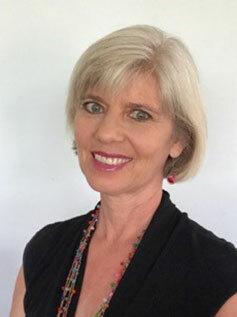 She has been involved in several major research projects in Queensland, Tasmania, Victoria and South Australia including middle years literacy and numeracy; early years literacy and numeracy and distance education; mental computation, number sense and invented algorithms; teaching and learning percent in the middle school; basic facts in the early years, as well as teacher professional development projects. In 2009, Shelley won a University of Queensland Award for Teaching Excellence, and in 2010 was the recipient of an Australian Award for University Teaching. She is a senior fellow of the Higher Education Academy. Speech Title: Teaching to promote connections in Mathematics and Science learning – the case for proportional reasoning. Abstract: Research has provided strong evidence of the decline in student performance in mathematics and science in the middle years of schooling (MYS), coupled with increasing student disengagement, disinterest and boredom with the study of these subjects. It is imperative that the teaching of mathematics and science in the middle years capitalises on young people’s sense of curiosity and wonder in relation to the sciences, and nurtures, maintains and builds their intuitive mathematical knowledge. To maximise our international competitiveness in a technological world, it is essential that secondary school students continue the study of mathematics and science-related courses at the tertiary level. Schools must engage young adolescents in challenging and innovative programs so they can take up future occupations in these fields to strengthen Australia’s future. This presentation reports on various research projects, undertaken in collaboration with teachers and their students, where the focus has been on teaching to enhance student learning of mathematics and science, through the promotion of proportional reasoning. Proportional reasoning permeates the school mathematics and science curriculum, but it is elusive. And yet it is considered as a key component of both mathematical and scientific literacy. In this presentation, I highlight the complex nature of the development of proportional reasoning and implications for learning and instruction. Teaching approaches that have captured and engaged students’ interest in exploring proportion-related situations will be shared. Associate Professor Mary Coupland is Director of the Mathematics and Science Study Support Centre of the University of Technology Sydney, which won the 2017 UTS Teaching and Learning Award for Academic Support. She lectures in mathematics for Engineering students, and also in Quantitative Literacy across all faculties. She is the co-leader of “Maths Inside”, a research and intervention project funded for $1.9 M by the Federal Government under the Australian Maths and Science Partnerships Program. This project involves collaboration with the Commonwealth Scientific and Industrial Research Organisation (CSIRO) and the Australian Association of Mathematics Teachers (AAMT) to produce innovative resources for teachers of mathematics, and to research ways to raise interest and participation in higher levels of mathematics in schools across Australia. 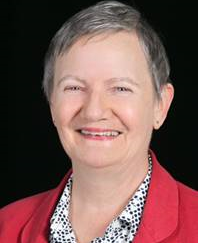 Mary is a former President of the state and national professional organisations for teachers of mathematics – the Mathematical Association of New South Wales, and AAMT. Chris Tisdell is Professor of Mathematics, Digital Education and STEM Education at The University of New South Wales (UNSW) in Sydney. He is best known for contributions to digital education that have positively impacted millions of people around the world by exploring the challenges of scale, flexibility and personalized learning. This includes leading a YouTube educational channel that is ranked within the top 1% worldwide; and authoring textbooks with a readership of 10 million globally. A teacher at heart, the quality and impact of Chris’ work on student learning has been recognized at national and international levels, through fellowships and prestigious awards for educational excellence, including diversity and inclusion. 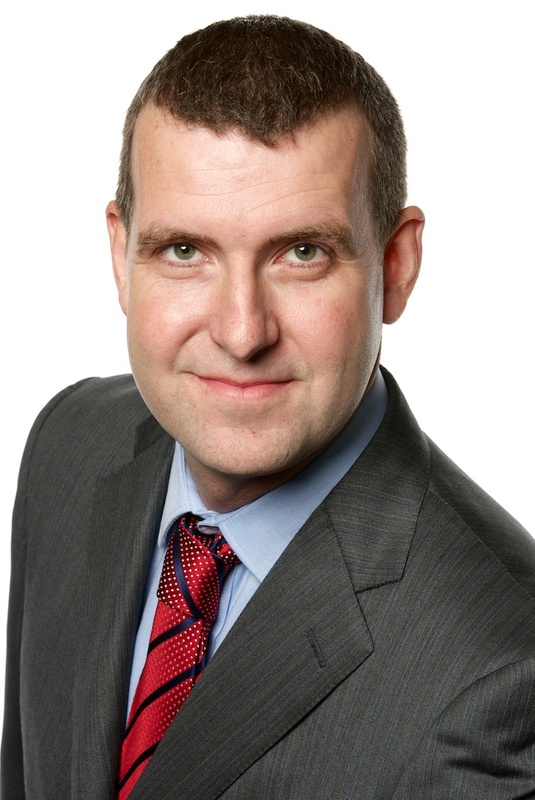 Chris promotes innovation in education through public engagement and thought leadership at national and international levels as an expert and public figure. He is proud to collaborate with key partners within the education industry, ensuring continuous improvement and collaborative advantage. William W. Guo is a professor in applied computation and mathematics at Central Queensland University Australia. He received a PhD from The University of Western Australia. His research interests include computational intelligence, data and image processing, modelling and simulation, and geophysics. He has published over 100 papers in international journals, conference proceedings, and edited books, and co-edited two special issues in international journal “Mathematical Problem in Engineering”. He has supervised multiple PhD students and served as a keynote speaker at many international conferences and regional events. He has abundant experience in leadership and academic governance through his services as Dean/Deputy Dean of School, and Members of University Academic Board, Education Committee, and Academic Promotion Committee. He is a member of IEEE, ACM, ACS, and Australian Mathematics Society (AUSTMS). Wernhuar Tarng is currently a professor in the Institute of Learning Science and Technology, National Tsing Hua University, Hsinchu, Taiwan. He was the director of Computing and Networking Center, National Hsinchu University of Education, Taiwan from 1993 to 2004 and the chairman of the Graduate Institute of Computer Science from 2008 to 2012. From 1980, Prof. Tarng conducted his undergraduate study at National Chiao Tung University, Hsinchu, Taiwan and he was graduated from the Department of Control Engineering in 1984. He received his M.S. degree (1987) and Ph.D. degree (1992) from the Department of Electrical and Computer Engineering, State University of New York at Buffalo, USA. Prof. Tarng has received more than 20 grant projects funded by Ministry of Science and Technology (MOST), Taiwan and published over 100 research papers in the field of computer science, engineering, networking, and learning technologies. Prof. Tarng was a visiting professor of Distant and Online Learning Center, Oxford University, UK in 2002 and a visiting scholar at Hear and Say Centre, Brisbane, Australia from 2014 to 2015. His current research interests include: e-Learning technologies, virtual reality, augmented reality, game-based learning, image processing, pattern recognition, computer architecture, and computer networking. Abstract: Astronomy education is an important area of science education because its scope ranges over all celestial bodies and their interactions in the universe. Observing celestial bodies such as the sun, the moon, and stars is essential in astronomy education because it can enhance observation and inference skills by using scientific methods to find the answers. However, observing the moon and stars has to be conducted during nighttime, and the observation is easily affected by weather or obstructed by surrounding high buildings. When observing the sun, the teacher usually teaches students to use a shadow stick to measure the sun’s direction and elevation and use a transparent dome to record the sun trajectory across the sky. Such activities are easily affected by a cloudy or rainy day and students may suffer from heat stroke when staying under the sun for a long time. In our previous studies, several astronomical observation systems were developed using the virtual reality (VR) and augmented reality (AR) technologies to help students observe and record astronomical phenomena. Students can conduct observation anytime and anywhere to understand the astronomical concepts through real-time interaction, and thus the VR/AR systems are very helpful for enhancing the astronomical knowledge and concepts. Teaching experiments have been conducted to analyze their learning effectiveness and the results show that they are effective in learning astronomical concepts. The questionnaire results also reveal that these systems are useful, easy to operate, and can enhance students' learning interest and motivation. Dr. Lily Li is the Head of Course for Information and Communications Technology (ICT) at CQUniversity, responsible for the academic leadership and oversight of all aspects of ICT Undergraduate degree courses including quality enhancement, program accreditation, staff recruitment and managing relevant academic committees. Lily has been working as an academic in ICT for 18 years. Lily has coordinated units in Software Development, Internet Applications, Business Intelligence, ICT Capstone Projects, ICT Industry Work Placement and ICT Internship and supervised industry projects under the Queensland Knowledge Transfer Partnerships scheme. Lily has gained extensive experience in curriculum design and course management. Abstract: A large number of Australian universities have multiple campuses, which provide a much needed effective and flexible learning environment. In the meantime, teaching and learning management in such a hybrid domain encounters many challenges. Geographically dispersed, multiple disciplines, multiple learning modes, cultural diversity and large cohort of staff and student numbers, etc., all those complicate much more than the conventional single campus teaching and learning. This presentation will provide a brief overview of CQUniversity’s Information and Communications Technology (ICT) courses delivered across its nine campuses including distance learning. Dr Li will share the experiences in dealing with course management challenges and discuss particularly the supervision models, consistency, communication effectiveness, quality assurance and learning engagement aspects.